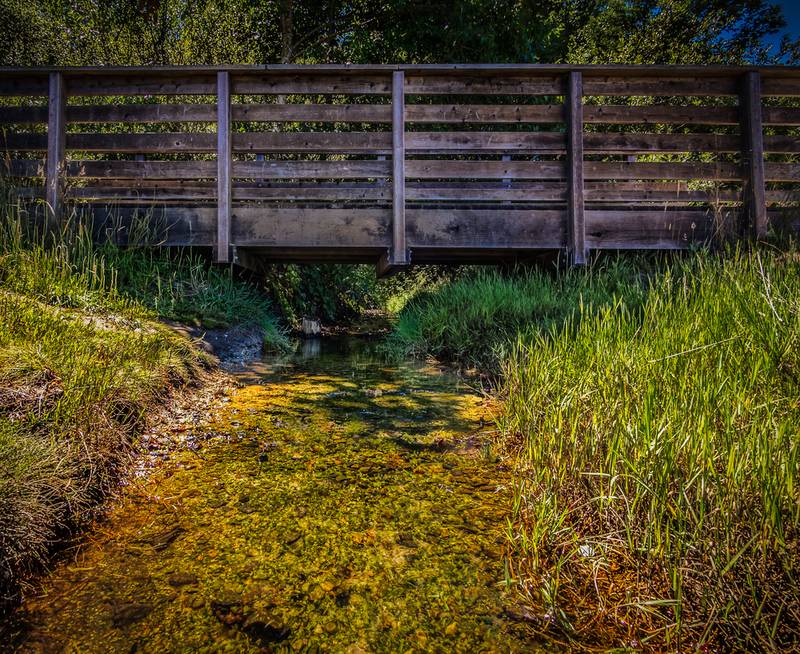 I made this photograph of the footbridge while standing in the little seasonal creek. The creek winds it way to Tomales Bay, chock full of crabs, minnows, and newts. Made with my Olympus OM-D E-M5 1/100s @ f/8, ISO 200, Lumix G Vario 7-14mm/F4.0 @ 7mm. Lightroom and Photoshop. This one of my first outings with the really wide lens, so I tried doing some perspective corrections in Photoshop, but I'm still getting the hang of it.